Established in 2014 as an interior designing firm, GVS Designs has kept a track record of over 170 interior designing projects, 50 Interior Architectural projects and 40 Factories. We are based out as a Partnership firm and situated our operational head at Chennai, Tamil Nadu (India). Our company is instrumental in Manufacturing and Service Providing a wide collection of Office Furniture, Home Furniture, Painting Services, Glazing Service, etc. Our focus has always been to give our customers the best possible design solutions by bringing the most modern concepts and products based on their budget. Our company has elevated itself from regular consultants to a counsel of designers because we would like to assist our clients in all major areas. The design of the interiors derives from a thorough understanding of physical and cultural setting, as well as the interior architecture of a building. Interiors are timeless and whilst the designs are made as per the classical tradition, they embrace state of the art, technology, and modernity. We are one of the recognized service providers in the market of Interior decorators. We design and execute complete luxury interior and exterior as per our customer’s preference and budget. Under the visionary guidance of our mentor “Mr. G. Velmurugan” (CEO), we have been able to place ourselves at the peak of success. His rich industry experience and expertise enables us to gain a commendable position in the domain. When our customers give the responsibility to us, we expect them to sit back and relax and watch the progress of the work. Our company ensures that the products and services are provided in the market at budget friendly prices and within a promised time frame. In our organization, we have built a sound and ultramodern infrastructure facility. The facility is outfitted with latest technologies and equipment that help to have the bulk of quality production in the industry. Further, our finished products are stored at our warehouse under the supervision of our experts. These are systematically stored in order to have easy retrieval. 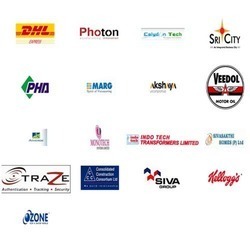 We work with an aim of providing quality products and services to our customers spread all around the nation. In order to maintain the standards of quality of the products and services, we tie up with the experienced and knowledgeable quality experts. Our experts make sure that the products and services are keenly examined under various parameters.